Nori Yaro buys and drifts an AE86! Well, actually he admits it is an AE85, but it has been converted with all the necessary components including a set Hoshino Impul and Hayashi Streets. 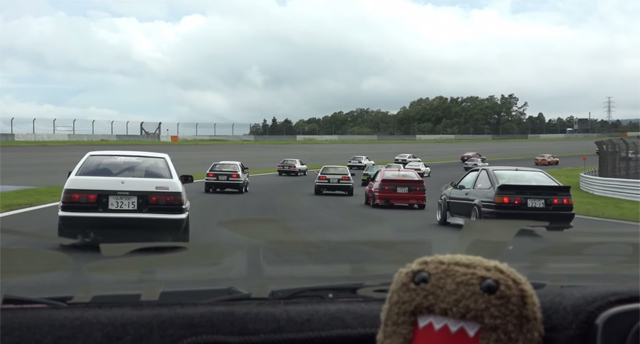 He takes it to two AE86 events and drifts the Trueno on Sports Land Yamanashi.